At Fairfield Farm, we offer a variety of meats, produce, hay and baked goods throughout the year. Our products include beef, pork, goat meat, eggs, straw, hay, and more. Try our high-quality beef, pork, and goat meat fresh from the farm. Our meat is processed locally or at a USDA butcher facility. We sell eggs, asparagus and other produce grown on the farm as well as hay and straw for the local horse industry. Enjoy delicious cupcakes, jams, jellies and other pastries made by Shelby Sasscer. Selections vary throughout the year. 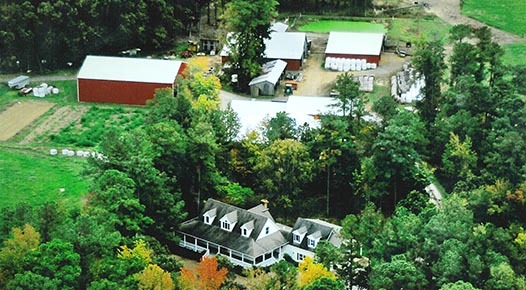 Fairfield Farm is owned and operated by the Sasscer family: Charlie, Donna, Shelby and Charlie, III. The family’s farming operation consists of 295 owned and leased acres. On the home farm the family raises beef cattle, boer goats, hogs and a small flock of laying hens. The family also raises hay for the local horse industry.